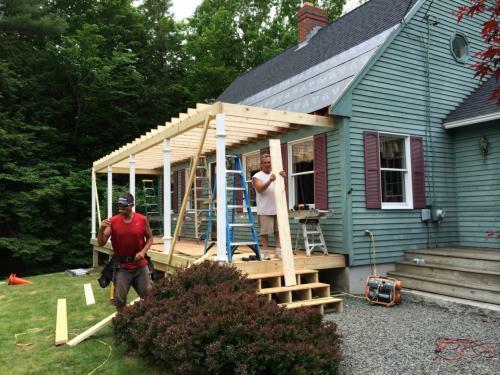 When you hire a high quality mechanic, builder or someone who knows their profession inside and out, typically you pay a little more money for the experience of the expert than you would from a novice. And I’m sure that’s what you want. Not only do we have the decades of experience that other companies don’t, we use a superior product: Certain-Teed. This is a company whose product has been known for its quality for over a hundred years. We are authorized as a SELECT Shingle Master™ from CertainTeed™. This means that we can offer the CertainTeed SureStart™ Plus warranty extension- The best warranty in the business. To have such an amazing credentials here at David J. Deschaine, Inc a lot of things need happen. First of all we need to have an amazing crew. This crew has to consist of Master Shingle Applicators™, and Shingle Quality Specialist™ both requiring advanced training and proof of knowledge with CertainTeed™ and their products. We abide by the terms and conditions in the “Code of Ethics and Professional Practices,” we are fully licensed and insured, and we’ve been in business for over 25 years. All of these qualifications allow us to have the highest credential level by CertainTeed™. Aside from this, we have our reputation and years of satisfied customers. Our Customers Say Is Best! Once you’ve done your research, go ahead and collect some bids. Then call us here in the office. 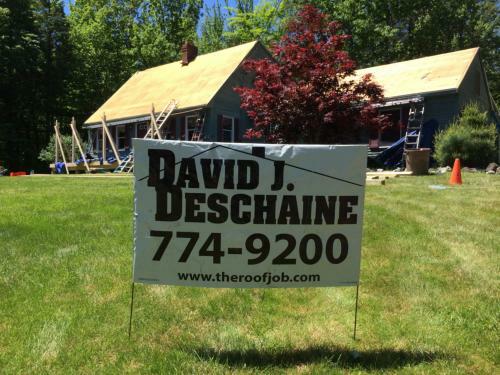 You will be set up with an estimate and Dave himself will come out, and show you first hand the difference between the new guy and US a company who has been specializing in your roofing and siding needs for over 25 years.